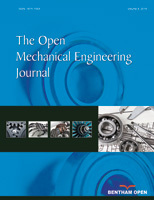 In this paper, the gear material 20CrMnTi was selected as the research object. Friction and wear behavior was performed on the M2000 friction and abrasion tester. The friction and wear mechanisms of 20CrMnTi steel were discussed under coupling of rolling and sliding. The results show that damage of steel-steel couples under coupling of rolling and sliding is caused by the interaction of mechanical fatigue with dynamical phenomena of rolling and sliding friction. Lubrication directly determines the friction and wear behaviors. Under dry friction, the wear mechanisms of 20CrMnTi steel are mainly adhesive wear, abrasive wear, oxidation wear and fatigue pitting under dry friction. Under lubricating conditions, the wear mechanism of 20CrMnTi steel is mainly surface fatigue wear.